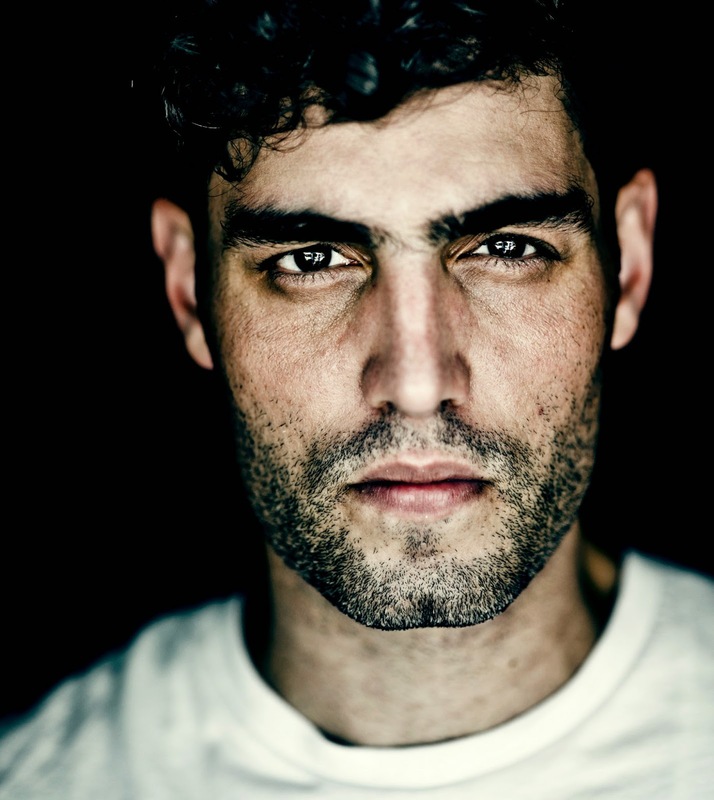 Daughn Gibson, a 32-year-old Pennsylvanian, sauntered onto the alt country music scene almost imperceptibly. Born Josh Martin, the singer-songwriter has dabbled in a roster of odd jobs at an adult bookstore and truck driver recruiter. His music career began, in earnest, as a drummer for the metal band Pearls & Brass. With a blend of electronic grooves and tender Americana-style storytelling, Gibson’s debut All Hell dropped in 2012 on White Denim and was enthusiastically received by critics. Gibson was soon signed to Sub Pop and went to work on his second album, Me Moan. While the gritty narratives of struggle and heartbreak remain on his sophomore effort, the production is fuller and sonically lush with unorthodox instruments. Once you’ve heard it, you won’t soon forget Gibson’s distinct—and occasionally divisive—baritone, comparable to the likes of the Magnetic Fields’ Stephin Merritt. Daughn’s voice is rough, unnerving, and weirdly irresistible. We spoke to this charming underdog during a brief break in his summer-long tour schedule. Q: Yours is the first bio I’ve read that mentions the artist’s height (6’5”) and weight (200 pounds). How did that get in there? A: [Laughs] My friend Matt Corvette from the band Pissed Jeans helped me out with my first record. We’ve been friends since I was 6’3” and he decided it should be in there. Q: You were born, and continue to live, in Pennsylvania, which is unusual considering most artists seem to live in California or New York. What’s made you stay? A: I grew up an hour from New York and an hour-and-a-half from Philly and I never had any reason to completely relocate to either of those places. I have the best of both worlds; the bucolic scenery here and the excitement of the city nearby. Q: How did you make the transition from Pearls & Brass to Daughn Gibson? A: The main thing about Pearls & Brass was turning up the volume, though I’ve always loved blues and country. The transition wasn’t completely strange. It’s the result of working by myself. Q: In their review of All Hell, Pitchfork said, “His characters are washed-up, pathetic, and old.” Would you say that’s accurate? A: Yeah, sometimes even when I include myself in the songwriting. I try to empathize with the characters when writing from their point of view. Q: Are the characters real or imaginary? A: They are mostly fragments of my imagination, though there are bits and pieces from people I’ve come across in real life. Q: You’ve said All Hell is a “product of isolation.” What was “Me Moan” a product of? A: When I say “isolation,” what I meant was that making a record with a band is about getting a six-pack and fleshing out ideas. With All Hell, I had no one to coordinate with—by choice—and didn’t bounce ideas off of anyone. It was purely from the pit of my head. Q: How did touring change the way you wrote Me Moan, knowing you were going to perform it live? Q: What kind of tools and instrumentation did you use to achieve that sound? A: I did most of the stuff at home, then went into a studio in Chicago and added flourishes. There’s acoustic guitar and pedal steel. I brought in a cellist and a piano player as well. Q: You’ve had a lot of odd jobs. Which was your favorite and why? A: I was a Broadcast Tech for a while and went around refurbishing news vans. That job kept me on the road constantly, traveling to small towns. It’s different from touring, where all you really get to see is the back of a warehouse. When I was a tech, I really got to see the small towns, talk to people, eat the food.